According to the latest research* from leading credit information provider Equifax, it appears that many families are managing their finances despite challenging economic pressures. The research of 2,000 consumers conducted at the end of July 2013 reveals that just over half of respondents say they are ‘making ends meet’ with a quarter currently ‘comfortable’ with their finances. Only 17%, which is less than 1 in 5, say they are not currently able to make ends meet. The Equifax research also highlights that access to credit plays an important role in managing personal finances, with just over a quarter (26%) using their credit card for much of their monthly spending. But, importantly, they also pay off their outstanding balance at the end of each month. 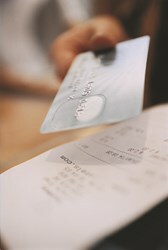 Only 9% said they rely heavily on credit cards and don’t pay off the balance at the end of each month. And it appears that a ‘saving for a rainy day’ ethos is being adopted by many people with more than 1 in 4 (26%) regularly saving each month and over a third (38%) having savings to rely on in case of an emergency. “We wanted to get a sense of current financial pressures facing people living in the UK and were encouraged by the fact that more than half of consumers are making ends meet,” explained Neil Munroe, External Affairs Director, Equifax. “The regional picture was also interesting. The highest percentage of consumers (60%) who said they are making ends meet live in Yorkshire and Humberside, closely followed by those in the South West at 57%. Of those who said they were ‘comfortable’, the highest percentages are in the North East (31%) and Scotland (30%). “It is also encouraging to see that more than 1 in 4 (26%) say they have enough money in the bank, but not everybody is lucky enough to be in that position, probably needing to rely on credit for unexpected expenses,” continued Neil Munroe. “Plus many consumers want to be able to access credit for important purchases such as replacing the family car or the next home move. The Equifax Credit Report is accessible for 30 days free simply by logging ontoour website . If customers do not cancel before the end of the 30 Day Free Trial, the service will continue at £9.95 per month, giving them unlimited online access to their credit information and weekly alerts on any changes to their credit file. It also includes an online dispute facility to help them correct any errors on their credit file simply and quickly.